Welcome to the Hill-Rom Liko Golvo mobile hoist page. Where you will find all you need to know regarding this product and how it can support you to mobilise patients and help to prevent inpatient falls. ✓ Vertical Lifting Motion with flexible lift strap. 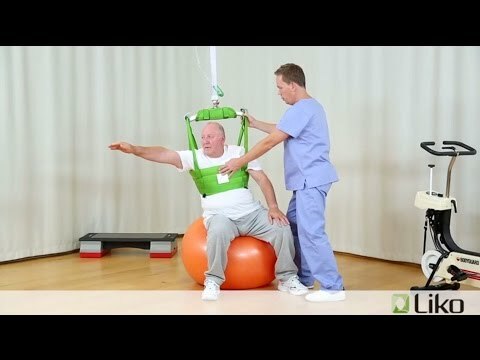 Allows for sling bar placement and patient movement during in bed, up from bed and out of bed mobility tasks. ✓ Parallel Base – Width. 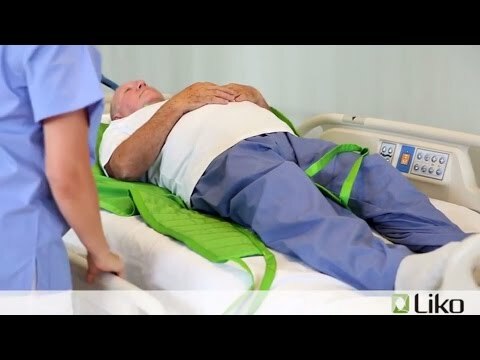 Increasing space for patient allowing for mobility tasks to be completed easier and reducing the risk of tripping during out of bed mobility tasks. ✓ Armrests – To help to support the patient during out of bed mobility tasks. ✓ Lightweight – Made from aluminium allowing for ease of movability when performing in bed, up from bed and out of mobility tasks. 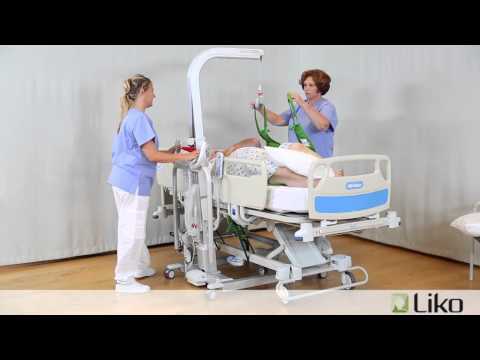 These videos shows examples of how you, within the products intended use, can utilize safe patient handling equipment in rehabilitation tasks. If you would like further information on Liko Golvo mobile hoists please enter your details below. Hill-Rom (Liko) have a mission, this mission is to protect patients by mobilising earlier and often. The concept that safe and early mobility helps patients recover faster is supported by published clinical evidence. Hill-Rom is uniquely positioned to provide a total, integrated portfolio of solutions and clinical support that encourages early mobility and facilitates safe, efficient and dignified care. The Golvo 9000 hoist offers the functional advantages of an overhead lift with the flexibility of a mobile hoist. 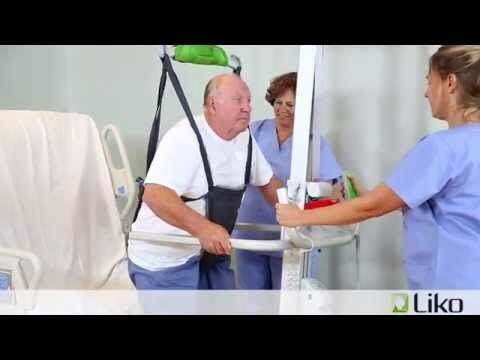 In combination with the extensive range of Liko accessories, Golvo is ideal for common lifting situations, mobilisation tasks and help to reduce the risk of in patient falls. If you are mobilising patients in bed, up from bed or out bed the Golvo can be ideally used for all these scenario’s. Hill-Rom can also support with clinical patient assessment tool (BMAT) to help encourage early mobility, while keeping patients and caregiver safe.